Teenage race-car driver Billy Monger lost both of his legs in a horrific British Formula 4 crash last April, but it didn’t take him long to get back to professional driving. Now Monger is back to driving a single-seater race car like the one he crashed in, and adjusting to using mostly hand controls at 150 mph. Motorsport.com reports that Monger said he’s “not too far away” from a deal to return to racing in British Formula 3, a step above the series he crashed in. He said he’s testing with the Carlin race team that has both IndyCar and Formula programs right now, but needs more sponsors before a race season is official. But getting back to competition hasn’t just been about finding the money to do it with. Monger’s had to work with British Formula 3 officials to adapt a car he can drive without legs, and he’s still trying to get used to the controls himself. Monger, who turns 19 in May, told the BBC he’s spent 12 years driving a certain way and now he’s had to change that completely. He only uses one prosthetic leg in the car, for the brake pedal, and throttles it with his left hand. The rest of it has stayed somewhat the same, other than his sequential gears now being on the same side of the wheel rather than having one on each side. “I’m braking with my [prosthetic] leg still and the rest of it is on the steering wheel,” he explained. “The one thing that has really moved place is the throttle which is now on the left side of the wheel. “On a normal car you would change [gear] up on the right side and down on the left but on mine they’re both on the same side. 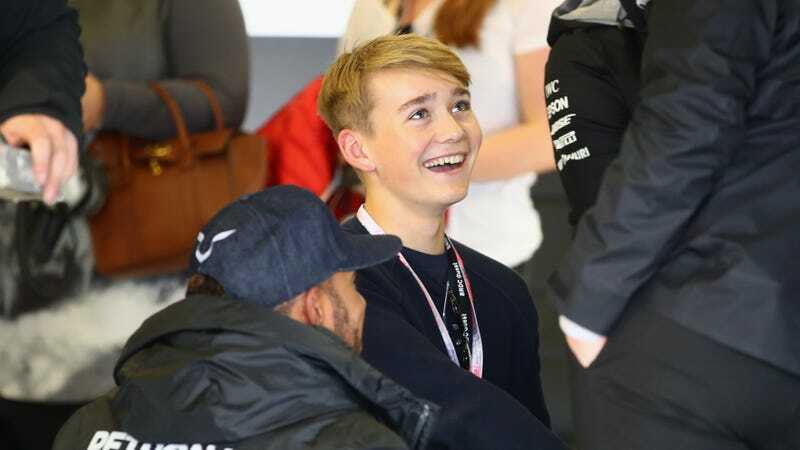 Monger told the BBC he’s still building up muscle memory for the new controls, and he has a couple of months to work on it—the British Formula 3 race season starts in April, almost a year to the date from the crash that cost him his legs.